A new gameplay demo was created exclusively for the VIP Experience and will give lucky previewers hands-on access to never-before-seen content, like intense multiplayer co-op and battle modes, as well as new instances with new missions and bosses across every corner of the game’s vast, vivid world. 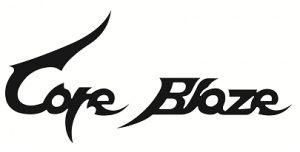 Following its world premiere at the 2011 Gamania Game Show in Taiwan, Core Blaze received an unexpected amount of positive feedback from US and European press. Taking heed, Gamania promptly expanded their original gameplan and began localization for an English-language version of Core Blaze. Core Blaze: The VIP Experience will give reporters a break from the busy show floor, as they relax in plush demo pods and become fully immersed in their ever-changing surroundings. Appointments may be limited, but Gamania is coming in full force –- the venue will be transformed beyond belief, designed to reflect in-game aesthetics like changing weather patterns and situational gameplay. The event will also feature a Core Blaze concept art gallery, cosplay, cocktails, finger foods, gigantic weaponry and other undisclosed forms of awesome, with transportation provided from the Los Angeles Convention Center (or downtown hotels) to loftSEVEN for all registered attendees. To RSVP or receive more information, please contact gamania@triplepointpr.com. An in-depth Core Blaze preview trailer, featuring gameplay content from the exclusive VIP build will be unveiled during E3, coinciding with a full re-launch of the official website. Download the press kit here (74 mb). Core Blaze is a new action MMO game currently in development by Gamania Digital Entertainment Co. Ltd. In Core Blaze, there is no set class system, so the weapon a player wields determines their skillset and role in battle. Quests respond to each character’s actions, allowing them to create their own unique story, and environmental paths and NPC dialogue are affected by weather and time of day, adding to a distinctive gaming experience. Slated for official launch in 2013, Core Blaze utilizes Unreal Engine 3 to create a beautifully vivid world for players to interact with. About Gamania Digital Entertainment Co. Ltd.
Gamania is a major global online game corporation that has been publishing renowned titles such as Lineage I since 1995. Gamania’s goal is to build a global online gaming experience, using its “beanfun!” platform to bring high-quality, self-developed products to players all over the world. It currently serves the United States, United Kingdom, Germany, France, Netherlands, Taiwan, China, Japan, Korea, and Hong Kong.